In June 2010, The Front Bottoms released a 6-track album entitled "Slow Dance to Soft Rock". On March 8th, 2011, the band announced they have completed work on their forthcoming new mini-album, "Grip 'N' Tie". This EP was cancelled upon signing to Bar/None Records and combined with "Slow Dance to Soft Rock" to make their self titled debut full-length album, which was released on September 6, 2011. 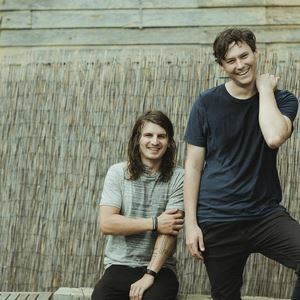 Their second album "Talon of the Hawk" was released on May 21, 2013 and led to the addition of two new members, Tom Warren (bass), and Ciaran O’Donnel (keys, trumpet, guitar) to play alongside Brian Sella and Matt Uychich.